Shampoos and soaps are amazing products that have dramatically improved our quality of life. Before their advent, life was shorter and people did not enjoy modern hygiene standards. But as the medical establishment tells us, with every bit of medicine there’s always a side effect. Producing the finest quality of hair with the healthiest ingredients is no easy task. We feel that the BOUDICA® range of hair products has gone far further than any brand in meeting this lofty goal. We don’t just talk about it, we demonstrate Boudica’s unique quality through hard evidence. Simply running water over your head, without shampoo is not very effective at eliminating the excess oil in your hair and scalp. That’s because oil and water don’t mix. So without additional help from shampoo, the oil remains on your head and is not swept away. To overcome this, shampoos utilize a clever technique whereby one side of the shampoo molecule loves water and the other side loves oil. So when you run shampoo and water over your hair, the shampoo grabs the excess oil from your hair while the running water sweeps the shampoo and oil away. 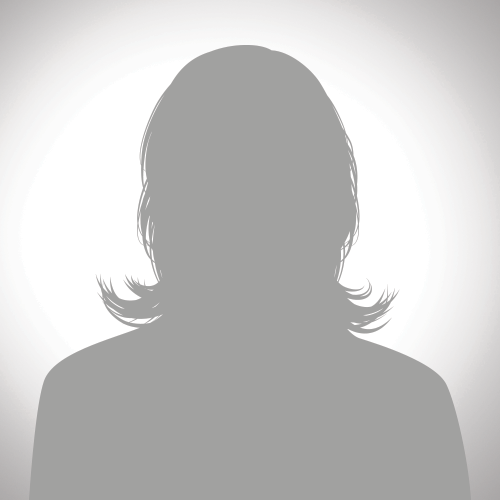 The problem arises since most shampoos contain harsh chemicals such as suphates that can damage your hair over time. Boudica has meticulously elimated all harsh chemicals. What remains is a natural combination of gentle ingredients including organic aromatherapy oils, organic avocado and grapeseed oil and other ingredients such as red rasberry leaf extracts. But you don’t have to listen to us. 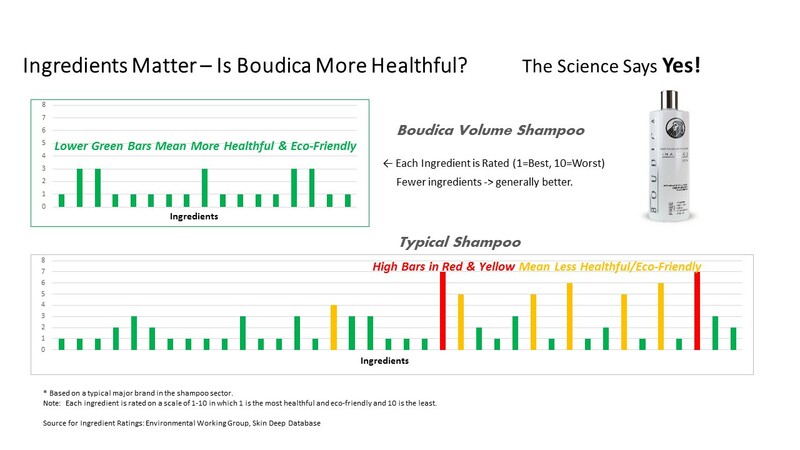 Simply compare the above graphs which dramatically demonstrate the beneficial effects of each of Boudica’s ingredients vs. a typical leading brand. Boudica is better for you and better for the environment. In fact, we invite you to check out the respected and independent Skin Deep Environmental Working Group’s database of ingredients and make your own comparison (or simply use the above chart). My daughter has very sensitive skin and this is the first time she’s washed her hair without her skin being red and angry… just wish I’d found this product sooner. Thank you.